Who better then a super hero to tell you the temperature? 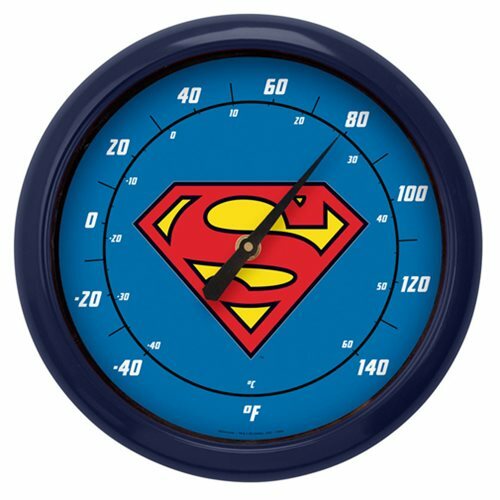 The Superman Logo 10-Inch Thermometer features the Superman logo and reads Fahrenheit and Celsius. With a glass dial cover the thermometer is good for indoor or outdoor use and will look great hanging in your home or office. Makes a great gift for a Superman or DC Comics fan! Measures approximately 10-inches in diameter.